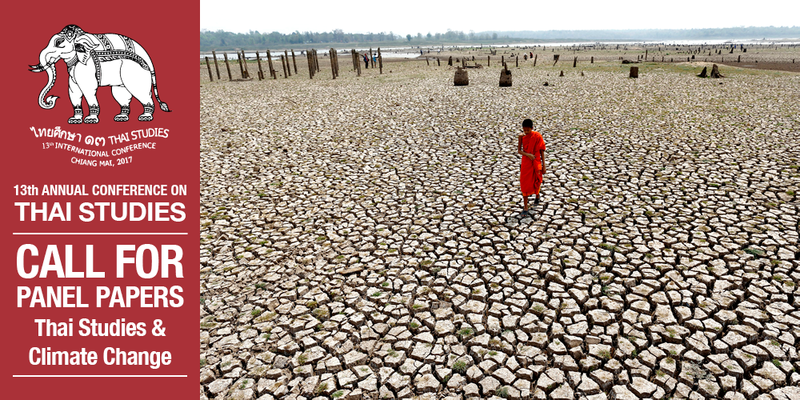 Climate change has become a fast growing topic of research in Thailand. The past few years have seen the rise of national-level publications such as Thailand’s First Assessment Report on Climate Change, as well as the national climate policy Thailand Climate Change Master Plan. What is lagging behind in climate change studies in Thailand is study of the human dimension of change in weather, seasons and climate. This panel offers an opportunity for Thai studies scholars from social sciences, humanities and inter/transdisciplinary studies to discuss how weather and climate are historically and culturally bound up in Thai society and in the wider environmental, socioeconomic and political contexts of the region. People in the mountains, fields, seas and cities constantly interpret change in weather and climate in relation to their livelihoods, landscapes and everyday politics. Through their cultural lenses, the flow of weather and changes in climate co-constitute languages, emotions, imaginations, oral histories, cultural beliefs, rituals and religions, literatures, arts, identities and practices. This suggests irreducible, plural and complex ways of perceiving and knowing the Thai weather and climate. While changes in weather, season and climate are embodied, told and practiced in the lives of Thai people and landscapes, these climate cultures are never stable. They constantly shape and are shaped by external forces, activities and actors such as government bureaucrats, corporates, nongovernmental organisations, intergovernmental institutions, media and climate scientists. The ideas of climate are co-produced and circulated through local and global spaces of science, policy, media, pop culture and social movements, and they are often (re)interpreted to fit new contexts. Climate change is seen by some as apocalypse caused by human sins, others as hopeful opportunity for redemption, the cause of social conflict, or the result of structural injustice. Such framings of climate change create particular discourses, hosts of actors and ways of responding. Through ongoing and complex connections with Southeast Asia and the world, the Thai climate changes just as much as the culture used to interpret it. Engaging, communicating, responding and governing climate change—a sociocultural phenomenon—therefore requires understanding the inseparable and multiple climate-culture ontologies that exist in Thai society. This panel invites Thai studies scholars across social sciences, humanity and inter/transdisciplinary studies who are interested in the multiplicity of local weather, climate and climate change, and their connection with the global spaces of media, science and policy. Please send paper abstracts of no more than 300 words to c.vaddhanaphuti@gmail.com by 15 November 2016.